Here at N & N Painting we are dedicated to making your even most out-of-the-box vision into reality. Sometimes creating a new look to your home can be intimidating. We are here to assist you with everything from current styles, techniques and overall optimal results that will leave you wanting to host your next house party. 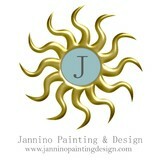 Once we have solidified your painting direction, the hard work is complete. Let us do the rest! 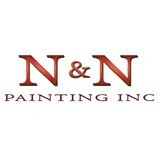 N & N Painting brings only the highest caliber of skill that leaves every client satisfied. 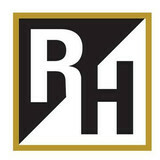 Ryan Hammond, Inc. has earned a reputation of excellence as a full-service, professional painting contractor. Our painters are experienced and fully licensed and insured. We have expertise in all areas of residential and commercial painting applications. From luxury homes to large hotels, we offer a variety of painting services. We pride ourselves on the principles of honesty, integrity, quality workmanship, and customer service. You will be pleased with our courteous communicative staff, timely work completions, and follow-up service. We are dedicated to 100% customer satisfaction. We accomplish this by staying up to date with the latest tools, products, and applications available in today’s ever changing market. We are the team you need to create the look you want at a competitive price. 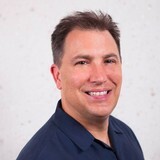 Specialties:We believe that our work speaks for itself, and so invite you to visit our online portfolio <a rel="nofollow" target="_blank" href="http://www.ryanhammondinc.com/portfolio.html">http://www.ryanhammondinc.com/portfolio.html</a> to view a small sampling of past projects and to learn about the variety of services that we offer. For over 10 years, 3G Home Exteriors – Florida has been a premier rain gutter company. Originally founded in Michigan, we bring our Midwest work ethic to our second location out of Fort Myers, Florida. Our family-owned and -operated business has a strong commitment to serving our community. We are fully insured and licensed, so you can be confident in the quality of work we provide on your commercial or residential building. No matter how extensive your exterior remodeling project might be, whether it is Gutter Installation, Gutter Guards and Screens, Aluminum Soffit and Trim, Painting or one of our many services, we handle each installation with pride and precision. FCI Painting is a family run business that puts customer satisfaction in first place. We have completed many fine homes and commercial buildings in Naples over the last 2 decades, We are state licensed and fully insured, Deal direct with the owner at all times. Certa Pro Painters is a locally owned, professional painting company with many years’ experience Southwest Florida. We are fully licensed and insured. Our Vision: Consistently Delivering Extraordinary Experiences. Our Core Values: Deliver what you promise, respect the individual, take pride in what we do and practice continuous Improvement. We paint throughout Southwest Florida, including Bonita Springs, Estero, Naples, Fort Myers, Fort Myers Beach & Marco Island. Please do not hesitate to contact us for a free estimate or to discuss your project. Quality Painting by Alex, LLC. has been in business here in SWFL for over 10 years! We have over 40 years of experience combined. We are licensed and insured. Quality Painting by Alex, LLC. is a family owned business. We believe in giving the family/home feeling and comfort to our customers. We focus on Commercial, Residential, Re-paints, New construction, Exterior Painting, Interior painting, Pressure washing, Door/cabinet painting & Staining. As a local, owner-operated company, we take a hands-on approach to every project. We uphold ethical standards that we would expect from any service provider that entered our home. For such qualities, we have been rewarded with many outstanding references from our many esteemed customers over the years. Our primary goal is to be both your partner and primary resource for all of your painting and restoration needs. We provide customers with quality work, in a timely manner, at the right price. We have expertise in all areas of residential and commercial painting applications.